The 2015 numerology horoscope for personal year number 6 is indicative of growing societal obligations and further commitments for family affairs. You will be forced to meet the additional demands of being social on your career front. You might also be called upon to be helpful and solve the problems. The numerology 2015 predictions for number 6 year forecast, that you have to put the concerns of others. You will have to deal with them in a cordial manner. You may have to help them overcome their problems of health. On the domestic front, the number 6 people will have to devote time for the upkeep of their residence, and major maintenance of the house. Redecoration and purchase of necessary household items will be your responsibility. In addition to attending to family celebrations, you have to maintain harmonious relations with all family members. You may be involved in marriage negotiations of a family member. 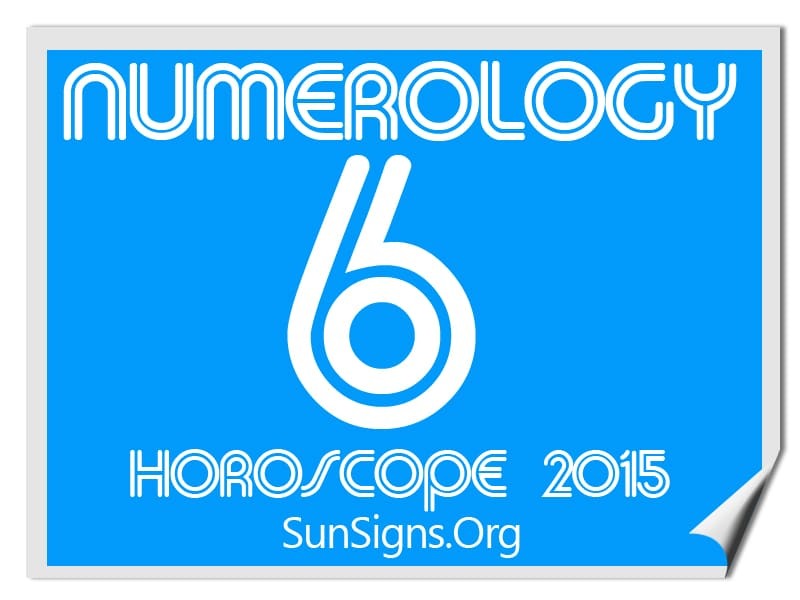 The 2015 numerology forecast for number 6 promises that this will be a year of love and romance. You may get into serious commitment with your romantic partner, and the year is propitious for marriage. On the personal side, your growth will be rather slow, and you should try to complete whatever projects are in hand. While you are helping others to regain their health, you should take care of your own health in order to help others. This will help you to relish the fruits of your selfless efforts towards family and society, foretells the 2015 numerology horoscope for number 6 people.